Catwoman and black people. What kind of craziness do we have in store for this episode? You can hear The Verbal Mosh Ep. 165 here and on our Facebook page. At least she isn't black. Remember when Halle Berry was Catwoman? Me neither! I didn't see that film. 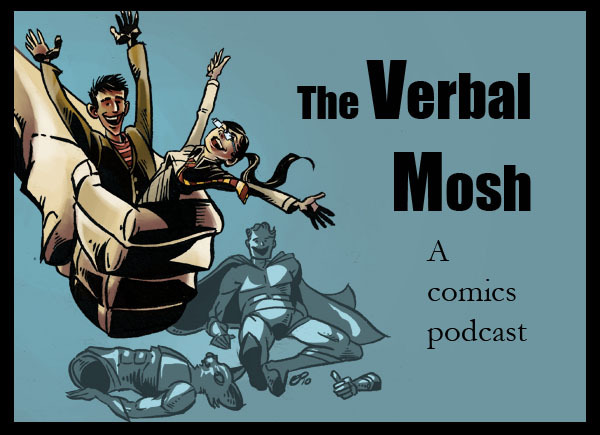 On this week's episode, The Verbal Mosh reviews: Action Comics #9, Amazing Spider-Man #685, Animal Man #9, Avengers vs. X-Men #3, Earth Two #1, Swamp Thing #9, and Sweet Tooth #33. We'd think it'd be swell if you wrote us an iTunes review.